Can Monsanto Change Its Brand to Organics? Probably no one was more shocked than I when it was reported this week that Monsanto is now focusing on becoming a leader in …. drumroll, please …. organics! The multinational chemical company that is notorious for turning open pollinated seeds into genetically engineered varieties is not known for its …. um… sensitivity for natural growing methods. Nonetheless there it was in Wired magazine, with the headline: Monsanto Is Going Organic in a Quest for the Perfect Veggie. The article (http://www.wired.com/wiredscience/2014/01/new-monsanto-vegetables/) points out that in addition to its global dominance in buying up seed companies and genetically engineering their seeds to withstand its pesticides and herbicides, etc., Monsanto also has a huge reservoir of traditionally developed seed varieties through its Borg-like acquisition of those rival seed companies. In addition, it has been ongoing in its clinical genetic research of these seeds and developing new strains. Credit Monsanto to also come up with a way to speed up the process of cross breeding, using a “seed chipper” to identify genetic traits that make a lettuce crisper or more flavorful, for example, then only cross breed plants with those traits in a traditional manner. The result is “super veggies” that can be sold as nonGMO, or even certified organic, if one takes the time to isolate and develop them (which Monsanto, of course, has the resources to do). With this news, I’m perplexed, to say the least, and I’m sure others who have long labored in the sustainable and organics field are, too. I wish Monsanto had gone this way earlier and developed a strong organic presence that would support sustainability; if it had, it would not be facing such opposition – and would see that it’s a more profitable avenue in the long run, developing partners instead of creating division. I’m one of the few people, I guess, who remembers Delta and Pine Land Co. at Stoneville, MS, when it developed new seed varieties the old fashioned way — back when investors in Memphis owned it, and before Monsanto bought the company. Back in the 1970s, when I was covering the Mississippi Delta for the old Jackson (Miss.) Daily News, I was a supporter of this research; after all, who could fault “science” and developing agriculture as a modern, international business where farmers were CEOs directly tied to their fortunes on international markets? It was an exciting concept and heady times! As a journalist, I eagerly wrote about this emerging role for farmers as “agri-businessmen” and women, who were riding the wave of this promising scientific progress. 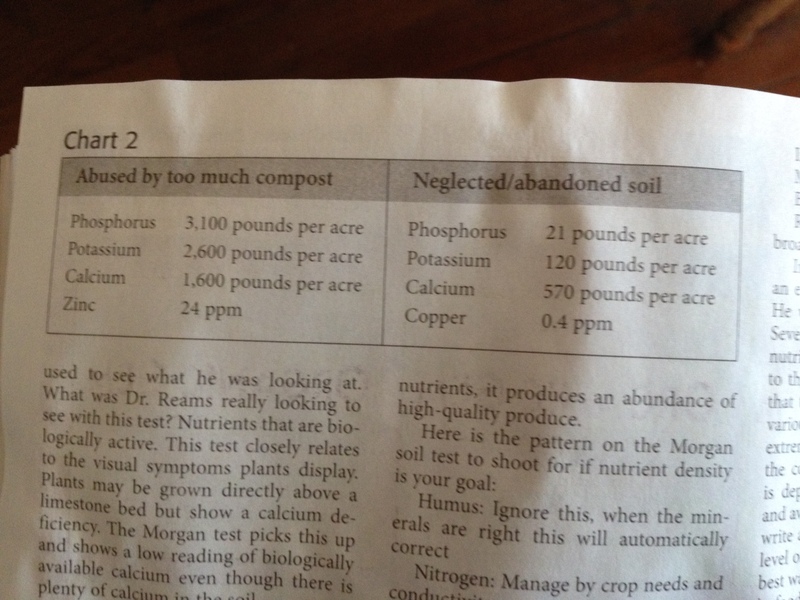 Sadly, like The New York Times‘ Andrew Revkin now, I “bought” the line that “science” would “save” agriculture. And, like Revkin now, even if he doesn’t see it yet, I was wrong. It took me about a decade to see that something was seriously wrong with modern agriculture as it was going that no amount of new chemicals, genetic engineering or expanding markets could fix. It was inherently unsustainable — and toxic — multidirectionally. Of course, as with GMOs, now we know that big corporate interests can fund enough science labs and control the publication of their results so that even bad science can be passed off as positive. The Big Ag corporate PR machine has “spin” for every criticism. And opponents are simply dismissed as Luddites who don’t want to “feed the world” (e.g. capture world markets through monopolies, patents and forced government treaties). Of course, back then, few could see how this would turn out — except visionaries like Wendell Berry with books like The Unsettling of America (1977). Sure enough, farmers started going bust, as the “get big or get out” mentality took hold, and now we have 40 years worth of cheerleaders for Big Ag and Frankenfood telling us bad is good and up is down. The naked Emperor’s clothes look good! Food-related illness – obesity, hypertension, diabetes, and food allergies – be damned! So now, too, the Monsanto leopard wants to change its spots? I’m not sure how this will go. Certainly, Monsanto can produce lots and lots of seeds at a cheaper cost than the somewhat boutique brands that are slowly developing certified organic seeds from heirloom and other varieties. The company can almost be assured, also, of cornering the market on industrial organic agriculture, particularly in the international market. Be prepared for the onslaught of new Monsanto veggies at grocery stores, some, eventually, with the certified organic label. Since my last post here, I’ve continued my bread making to include sourdough bread, making my own sourdough starter. 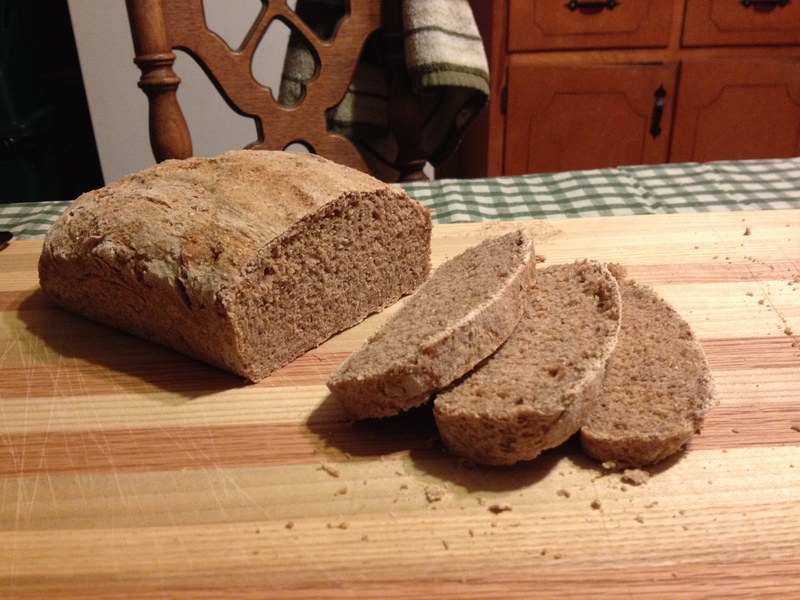 It’s actually water kefir sourdough bread made with whole wheat flour, from scratch. 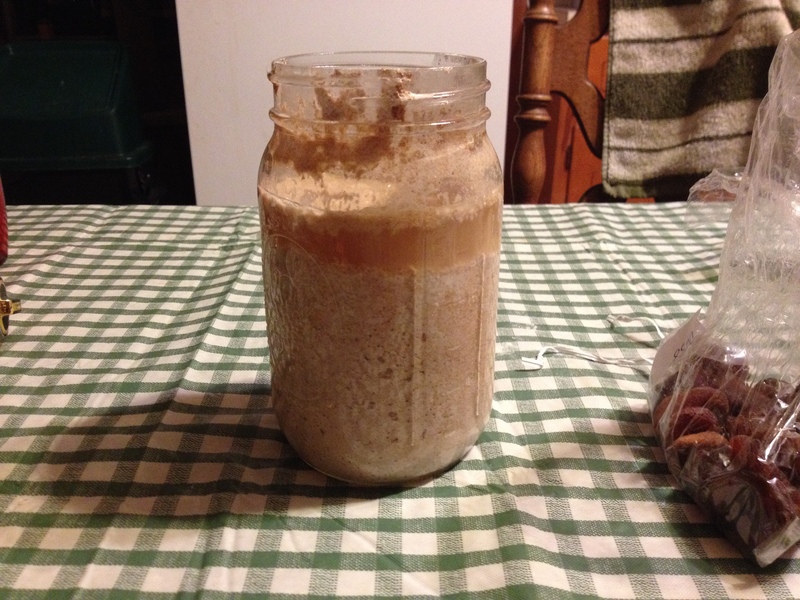 I made the water kefir then used the water kefir as a lactobacillus for a sourdough starter; then after three days I made the sourdough bread from the starter. The honey is raw unfiltered from my bees — all natural, no chemicals of any kind. In my last post, I made bread using flour that I ground myself from raw wheat like that grown locally. This was “store bought” wheat flour. I might try it with home ground later. 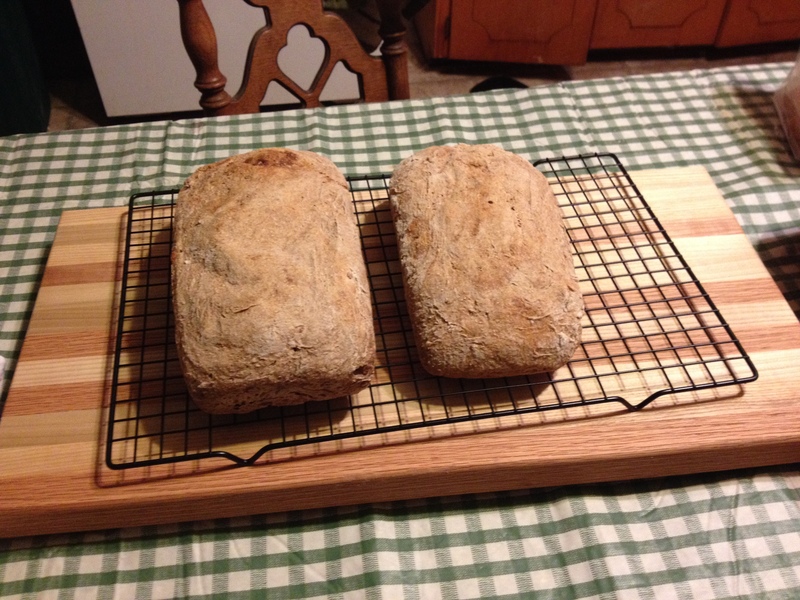 But I’m also thinking about trying some other grains/sourdoughs, too. This recipe (if you are interested, below in photo form) should be fine for vegans. This was made without any eggs or any dairy products. Ingredients: water, water kefir (water kefir grains, organic lemon, organic raisins, organic dried apricots, organic powdered sugar), sea salt, honey, Gold Medal Natural Whole Wheat Flour, Organic Gold Medal All Purpose Flour, grapeseed oil. 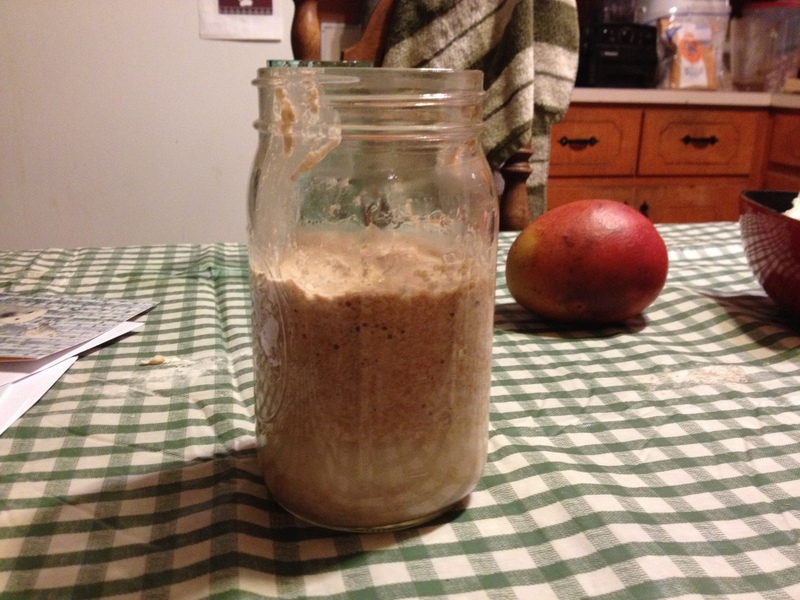 I actually had ordered some sourdough starter online, but (as seems to be the case with me more often than not), I fumbled around and went at it backwards. Turns out, I ordered a sourdough starter for a type of grain which I didn’t have. But, still, in keeping with my learning-through-mistakes trajectory, it turns out also that I had perfect ingredients in hand to make sourdough starter from scratch. Now, I know, I could have made sourdough from the lactobacteria that we made our kraut from, or from the atmosphere here at the house, which produced the kraut. But I also had some water kefir on hand, which I used to make water kefir sourdough – based on a recipe found in Cultures for Health (culturesforhealth.com). In case you are not familiar with sourdough, other than vague allusions to grizzled San Francisco ’49er prospectors or something, there’s a lot to it that speaks in its favor. As far as bread goes, sourdough gives you the most nutrients in a balanced form. Since it’s extensively fermented before it’s baked, it’s essentially predigested. The grain’s proteins and starches are broken down by the process and the sugars are transformed into compounds that are absorbed by the body more slowly than with standard bread. People with gluten sensitivities are told to stop eating wheat and are told to only buy gluten-free bread and pasta products. But it’s been documented that extensively fermented sourdough is essentially gluten free even with wheat. While there are variables that can change the results dramatically, including flour particle size, kneading protocol, leavening process and baking procedure, it has also been scientifically documented in peer-reviewed studies that blood sugars don’t spike eating sourdough bread in contrast with common bread. That includes some breads that you might find surprising, beyond white bread, to include 11-grain and sprouted-grain breads. That makes sourdough a preferred bread for people worried about being overweight, or dieting or with pre-diabetic conditions. Note: I’m not a dietician or physician and am only commenting on what I have read in scientific literature based on my own layman’s understanding; only make medical and dietary decisions that may affect your health upon the advice of competent health professionals! 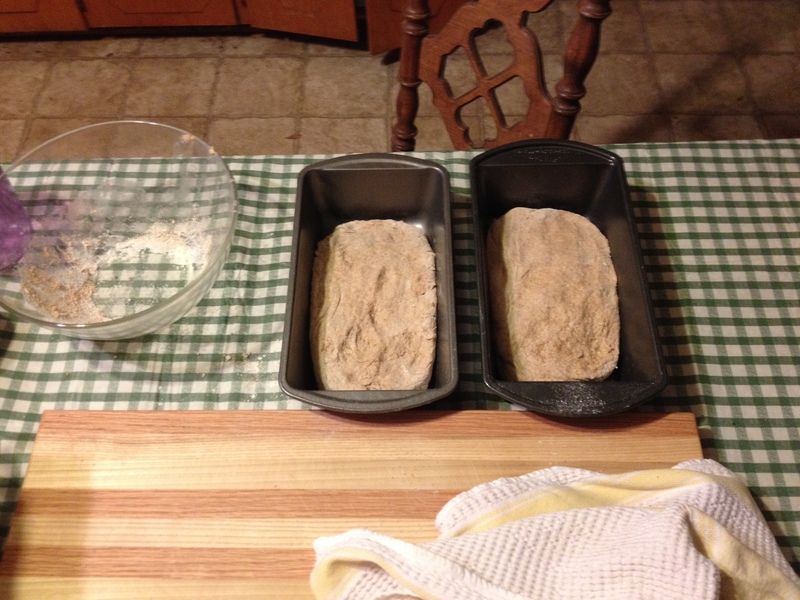 If you are interested in making this type of bread, here’s a photo step by step. This recipe is based on one found on the Cultures for Health Facebook page. But I did not use a gluten-free flour and changed the ingredients somewhat, both in quantities and ingredients (to make it vegan). First, I made the starter. 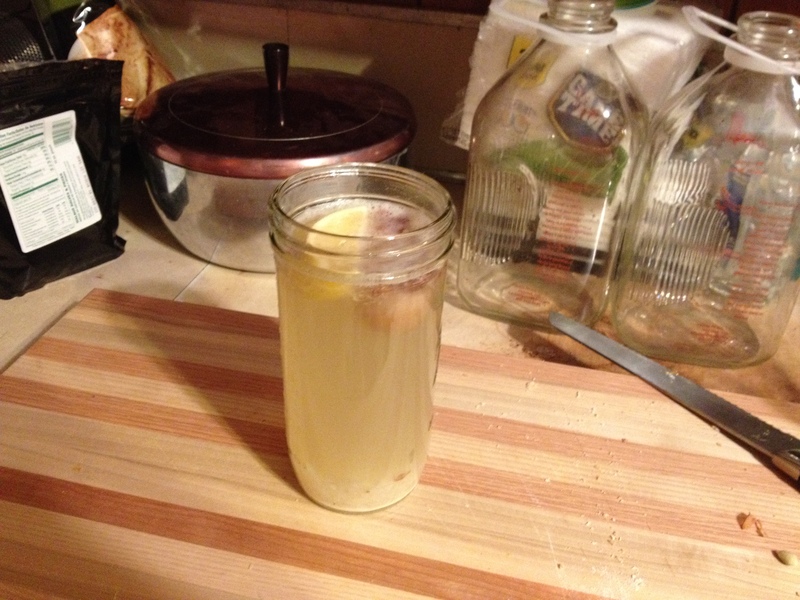 I took two tablespoons of water kefir and added it to a mixture of one-half cup of flour and one half cup of non chlorinated (filtered) water. I repeated this (sans water kefir) every 12 hours for three days; except, after the first day, I added only 1/4-cup of flour and 1/4 cup of water. 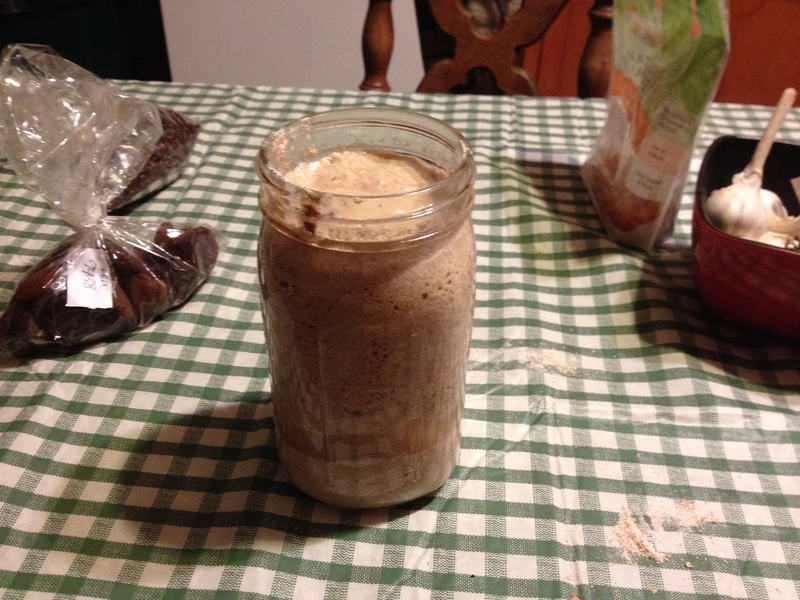 Sourdough starter after the second day. As you can see, it filled up the jar; so when it settled down the next morning, I poured off the clear liquid (called hooch; which most people nowadays just stir in) and reduced the amount of flour/water I was adding. Sourdough starter on day 3. Here’s the starter with some hooch in it. As you can see, it’s bubbling nicely. 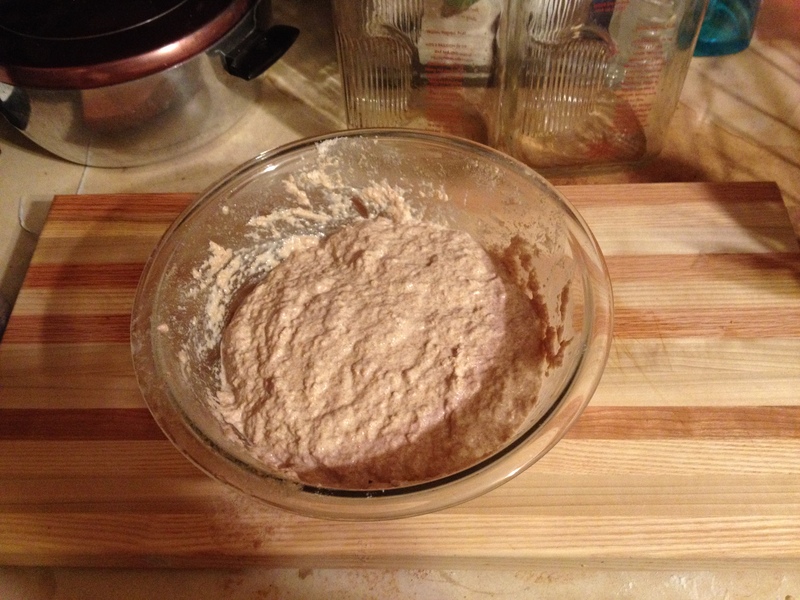 When I stirred it, it became thick like dough; so, I figured it was ready. I made the “sponge” or pre-loaf mixture. I covered it with a loose towel and let it sit overnight. The next morning, I uncovered the mixture and realized I didn’t have a big enough bowl. It was up to the edge and the recipe called for more ingredients. So, I stirred the sponge, added the honey and salt and 3 cups of flour, and split the sponge into two with one in each bowl. I kneaded and covered them, and let them sit for four hours. 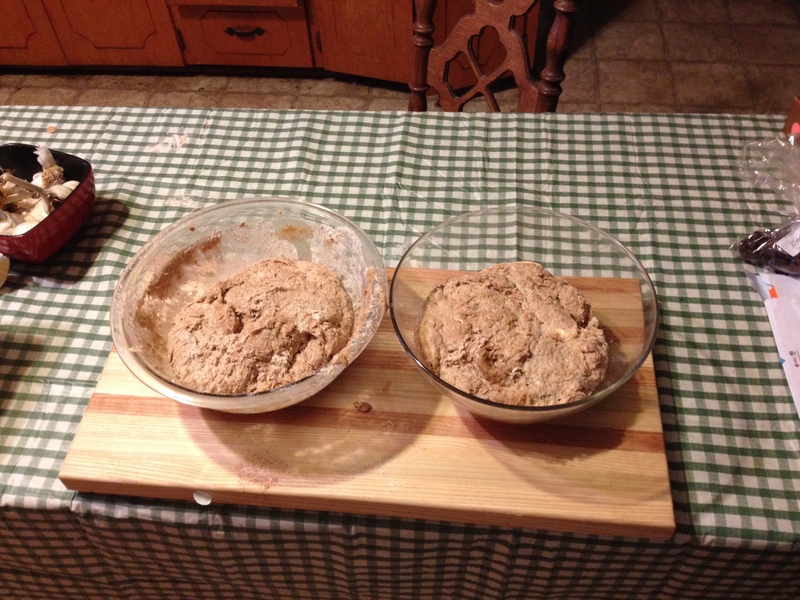 Then, I kneaded them some more and put each one in a loaf pan and I let that sit for four hours. Finally, I preheated the oven to 375 degrees and baked for 35 minutes. I have a meat thermometer that I use for baking and checked the temperature of the loaf, which was 200 degrees in the middle – anywhere between 190-200 shows doneness, or no uncooked dough. I pulled them out, let them sit for 15 minutes in the pans,then put them on a rack to cool. Things I would do differently? Mind you, I’m still a rank novice when it comes to cooking and certainly baking bread; but I’m learning as I go along, and that’s part of the fun of it. It surprised me the amount of dough after the sponge had sat out all night; it was more than one loaf, but less than two full-sized loaves. The recipe said two loaves, but I assumed that was in the pan, not in the bowl. I don’t have a bowl big enough for two whole loaves. So, I’m going to have to think about that. I also am still dissatisfied with the amount my loaves are rising, or more accurately, not rising. While the bread has a nice consistency, a nice taste, without too much cavitation or holes, it’s not rising enough in my estimation. I keep my house at 68 degrees and all the cookbooks say the room temp should be above 70. I actually turned up the thermostat to 72 degrees to make this bread; which seemed like a heat wave. But the farmhouse I live in is so drafty, I’m not sure that made any difference and maybe just boosted global warming a bit. So, I’ll continue to fiddle with that. It could be that the starter is so young, it needs to age a bit. Or, it could be the whole wheat. I’ve found that white flours seem to rise better. That itself poses a conundrum: I want the germ and whole grain, not refined or recombined flour. If the tradeoff is the amount of rise, I can live with that. We’ll see! More later! I have a lot more plans and ideas and experiments. As many who follow food and farming news may have heard, the U.S. Food and Drug Administration is formulating rules under the Food Safety Modernization Act (FSMA) that could adversely affect small farmers. “Adversely affect” may be an understatement. Read: Destroy small farmers and stop the food movement in its tracks, as far as local, organic and sustainable is concerned. For a complete analysis, read the articles on the website of the National Sustainable Agriculture Coalition and then click on the buttons it gives to make a public comment to the FDA. The FDA is accepting public comment until Nov. 15. We all know that our food system needs help. And more oversight. The FSMA is the right step in that direction, but it has some serious flaws that need fixing in order for it to do the job it is supposed to do in protecting public health. Foremost, FSMA requires regulations that giant agribusinesses must conform to and that’s a plus. Unfortunately, the protections for small farmers that Congress intended have been stripped away by the language of the regulations. To be blunt, it appears that FDA decided to reinvent the wheel in agricultural matters and instead of having a round wheel, it created a square one to fit its own purposes and ideas of what agriculture should do. 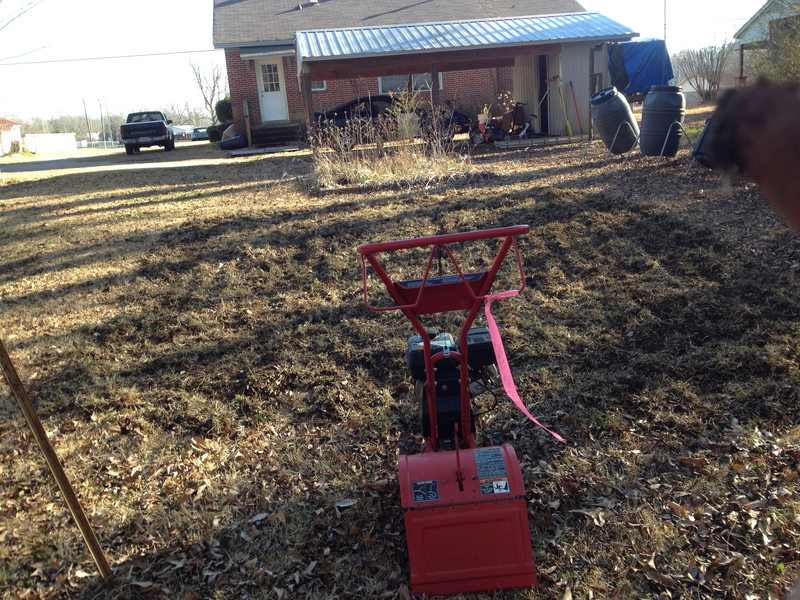 But as anyone who knows how agriculture works – dependent on seasons, erratic markets, odd federal policies, and a plethora of existing agencies, rules and regulations – a new square wheel won’t help it keep rolling along. As proposed, the FMSA will regulate small farmers out of business, deter new farmers, beginning farmers, transitioning farmers and especially impact minority, underserved, distressed farmers and women who are only now starting profitable businesses in agriculture through the food movement. First are the safety rules that FSMA would impose. They make sense when you have a giant industrial farm, but make no sense if it’s small farm where everything is done by hand, customers know the supplier and all facets of the farm are inspected daily by a sole proprietor and/or his family (who also eat the food they grow, drink the water that irrigates it and tend to the poultry and livestock that share their farm). The rules — such as extensive and expensive groundwater testing from ponds and wells – may be necessary when you’re a giant conglomerate, don’t know where the water is coming from and are trying to locate a disease event affecting 2 million people in a handful of states. But if you’re growing for 200 families in your local area, you know what the water is doing, where it came from, and the consumers know it, too. It’s local water that local people share. Yet, FDA estimates the typical cost for one water test is $87.30 and, depending on the type of crop, it may have to be tested daily. What small farmer can afford $87 a day for water testing? By the FDA’s own estimates, some of the most basic rules like water monitoring will put many small farmers out of business; it estimates complying with basic rules for small farmers would cost $12,972 per year. Now, if you’re only making $40,000 or $50,000 a year, that’s a huge impact. Moreover, it only exempts farmers from its regulations who make less than $25,000 per year over three years. That has its own problems. For example, where’s the incentive for a new or beginning farmers to take out loans and invest in land and equipment to be repaid over time, if they know that in a couple of years, they’ll hit a $25,000 income ceiling – beyond which they’ll be effectively penalized in profits, if not run out of business by regulatory costs? That rule in itself dooms local and organic growers to not grow beyond a set point, effectively putting the brakes on organic and small ecofarm operations, and as a disincentive for young, new and beginning farmers from seeing farming as a career choice. It’s a barrier to underserved, distressed and minority farmers looking to make a living and provide healthy nutritious food for themselves, their families and their communities. Doesn’t the FDA care about food deserts, urban ag and the burgeoning inner city and rural grassroots cooperatives that are changing the face of agriculture? Fresh food fights obesity, the worst effects of poverty and provides self sufficiency and community empowerment. That $25,000 exemption should be raised to at least $100,000 so that young families can see local food production as a career, and help build communities. Even for farms with sales up to $500,000 per year, NSAC estimates, they would have to spend between 4 percent and 6 percent of gross income to comply – this for farms that generally only have incomes of 10 percent of sales. Again, these are not the giant food producers that are causing the food safety problems nationally, but generally are family farms that have been in operation for generations. They often include aunts, uncles, cousins, across generational lines. Two younger cousins, for example, could actually be doing the labor or be managing a farm and sharing the profits as a LLC for elderly family members and their extended families. These are the endangered types of farms that are disappearing rapidly, being bought up by corporations and investment firms or turned from farmland into residential development and luxury estates or country clubs as elder farmers retire and their children turn to other employment. FSMA would only accelerate the trend of precious arable farmland being converted into real estate, further endangering this nation’s food sovereignty. Rather, government should be promoting the conservation of farmland and encouraging local food producers so we are not dependent on foreign sources for our food. But, even there, it has a huge loophole whereby FDA can yank that exemption with no reason and with no way for the farm to either defend itself or get reinstated. 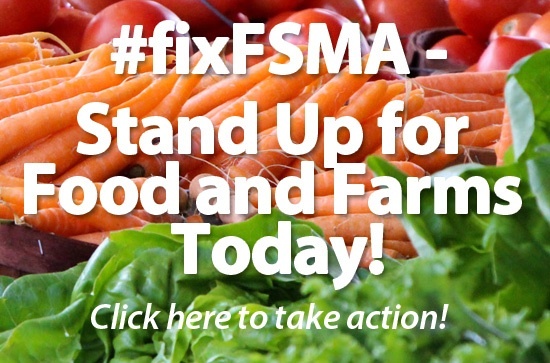 Furthermore, under FSMA, CSAs, farmers markets and roadside stands are left vulnerable. Here, state agricultural agencies are finally getting around to promoting small farmers having direct sales, and providing them limited legal liability to promote it. And community supported agriculture is starting to include not only young and women farmers but churches, schools, civic clubs and like. Such stands, farmers markets and CSAs are held accountable by being local, direct to consumer without middlemen. They are transparent and have immediate accountability. They should be protected. In addition, a lot of the regulations that are FDA required under FSMA are already in place: such as General Agricultural Practices and food safety practices required under the USDA certified organic program. If farms are already training and complying with state regulations and existing USDA programs, why add more and different requirements? Stores and grocery chains themselves are instituting their own food handling requirements and regulations, cooperating with state agricultural departments and the USDA. Why not accept USDA rules and adopt them, and ensure they are enforced, rather than creating new square wheels? As stated, for a more complete appraisal, see the NSAC website. As it is, if you care about food safety and the local food movement (Buy Local, Buy Organic! ), then you’ll at the very least want to tell FDA to exempt small farmers who make under $100,000 per year, reconfigure restrictions on family farms making under $500,000 per year, and redraft the rules to comply with existing USDA programs to avoid duplication. FMSA is a good start; and it’s important that the giant conglomerates that are responsible for the lion’s share of the nation’s food safety issues are held accountable for safe practices. The regs just need tinkering. Without modification of FMSA, the food movement could be stopped in its tracks from the ground up by essentially outlawing — or effectively running out of business — small local farmers selling locally. Recommendations: 1) creating stronger procedural elements of proof before taking away an exemption, warning letters, and a reinstatement process; 2) raising the exemption for producers and processors from $25,000 to $100,000; and 3) defining, as the Act requires, CSAs, farmers markets, and roadside stands as retail food establishments to allow for exemption, and expanding these to include local, direct sale buying clubs. Share this with your friends and like minded folk. What’s The Monsanto March About? If you’re concerned about the future of organic food and farming, the May 25th March Against Monsanto is a tangible way of expressing your concern. For those not up on organic issues, the protest might seem perplexing: Why target an agricultural company for protests? The reason that organic farmers and consumers are upset over the giant transnational corporation is that, for them, this one company epitomizes all that’s wrong with modern industrial agriculture. While Monsanto is by no means the only corporation (along with Bayer, Syngenta and Dupont) involved in producing potentially hazardous chemicals and biologicals for Big Ag, it’s the most successful in crowding out or taking over companies that practice natural and sustainable growing methods. You might call the company The Borg or the Darth Vader of Big Ag. Monsanto has been buying up seed companies for a generation, very nearly cornering the world market on seeds (see JFP article, What’s in Your Food, Oct. 21, 2012; chart: jfp.ms/seedmonopoly). But Monsanto has also been discontinuing those seed lines in favor of its own patented genetically engineered seeds. One might ask, “What’s wrong with using advanced scientific methods to produce seeds? Haven’t humans been breeding plants for millennia?” Yes, but unlike traditional breeding methods, these genetically modified organisms (GMOs) are Frankenseeds that could not possibly be found in nature. They not only cross the lines of plant species but may contain genes from bacteria, viruses, insects, even animals inserted into their DNA. 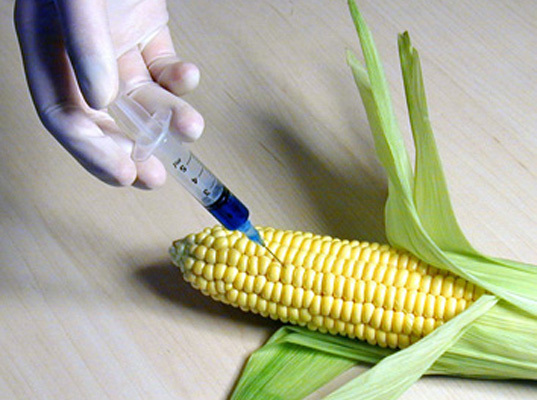 Under a special exemption in U.S. law, unlike careful regulation in other countries, GMOs are allowed, even though there is no third-party testing or scientific establishment of their safety (see Los Angeles Times: jfp.ms/latimesGMOs). Although GMO seeds and plants are banned under the certified organic program, organic farmers are being victimized by them. Part of the artificial genetics of GMO plants is their aggressive pollinating behavior. They are so aggressive that a natural field can easily be contaminated by GMO plants even when planted several miles away. In this way, by an insidious Catch-22, if these victimized organic farmers complain, Monsanto is immune from legal challenges for their losses from GMO contamination and can actually sue the victimized organic farmers for “theft of intellectual property” simply by growing those contaminated crops! For consumers, it’s even more devilish because the most popular GMO seeds are bred to withstand herbicide poisons, which actually serves to ensure that more poisons are sprayed on crops than would otherwise be the case. The GMO straw, so to speak, that broke the camel’s back came March 26, when President Barack Obama signed legislation backed by Monsanto that stripped federal courts of the ability to prevent the spread of GMOs. Called the Monsanto Protection Act by opponents, the provision slipped in to the Consolidated and Further Continuing Appropriations Act of 2013 requires the U.S. Department of Agriculture to issue temporary permits allowing the continued planting of GMOs by farmers, even when a court rules otherwise, pending review. It essentially makes Monsanto above the law, allowing GMOs to be planted even when the environmental impact of that decision has yet to be determined. To organic farmers and consumers, the Act is the epitome of corruption in Congress. It shows that the 1 percent of big money in America can run roughshod over everyone, including those who produce food in their own fields, people who care about the environment and consumers who care about the safety of their food. That’s why farmers and consumers are marching on May 25. 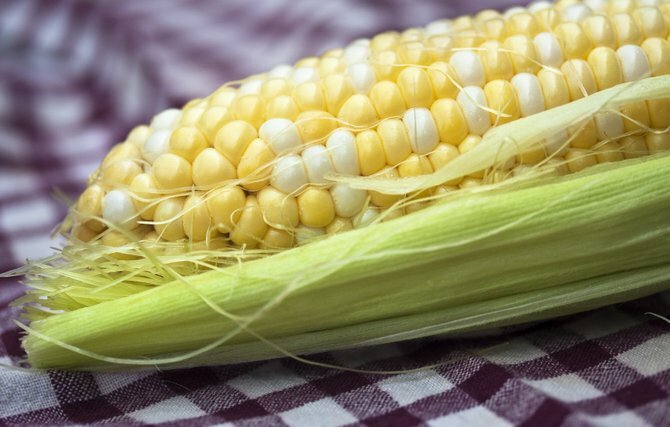 The March Against Monsanto is expected to start at the Farmer’s Market on High Street at noon, May 25, then march up High Street to the Capitol between 1 p.m. and 2 p.m. The organizers are Lindsey Lemmons and Julie Dennis Stewart. For more information, find the event on Facebook: Mississippi March Against Monsanto. Also, visit the official March Against Monsanto website at march-against-monsanto.com/. Good Friday is traditionally the time for those who plant “by the signs” in central Mississippi to put seeds in the ground, but for most home gardeners, now is a time to prepare seedlings (or “starts”) for transplanting. Until the soil warms and the last chance of frost is past, gardeners may find themselves surrounded by trays or cups filled with potting soil and seedlings. One way to maximize daylight is to take the plants outdoors during the day and bring them in at night. An easy way to do that is to use a wheelbarrow; just wheel it out in daytime and wheel it back into the garage at night. Allowing seedlings outdoor time also “hardens” the plant, so that it becomes accustomed to harsher conditions. Seedlings start best with good potting soil; look for certified organic brands in local stores. Most commercial potting soil is a mix of peat moss, perlite and synthetic fertilizer. Not only is that not organic (the synthetic fertilizer part), but it’s not Earth friendly, with peat moss most often derived from environmentally sensitive areas. So, what’s an organic gardener to do? 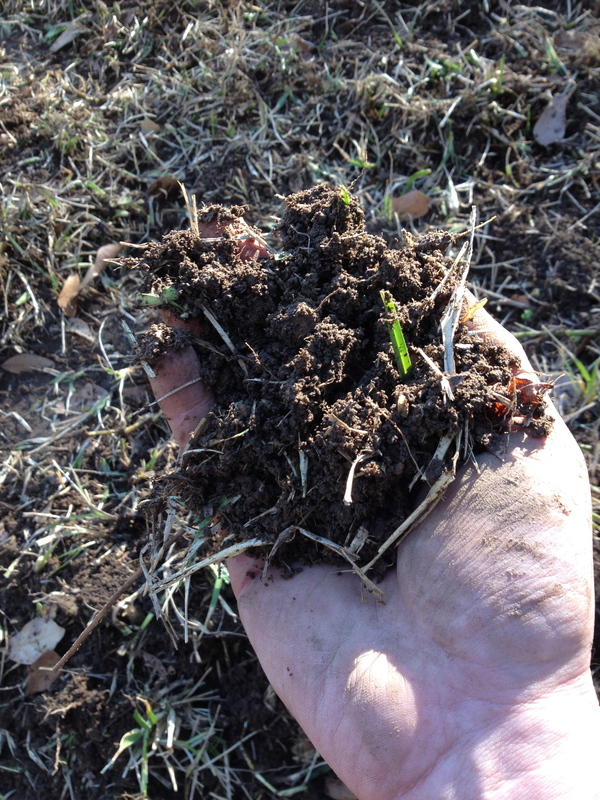 Even Earth savvy gardeners may not stop to think about it, but if you are composting, you have nearly half of your potting soil issue already resolved. Essentially, the “mix” for potting soil should have water and air holding capacity and fertilizer of some kind. A common “recipe” for DIY potting soil for seedlings would be 40 percent compost mixed with 20 percent vermiculite or perlite (available at garden stores; both are inorganic minerals that provide structure and drainage) and the rest a light air and water-absorbing vegetative material, such as composted bark or coconut coir (a renewable resource). Each “recipe” is as individual to the gardener as a chef to food. If you are a diehard homesteader, you can experiment with found materials, such as: one part compost or screened leaf mold, one part garden topsoil and one-third sharp or builders sand (some people use creek or river sand, but it may contain nematodes). When planting a seedling, it helps to use a transplant agent. However, most on the market are not approved for organic growing. The general rule is that if a product or ingredient is listed by the Organic Materials Review Institute (OMRI), then it’s OK for certified organic use. Root Tone product, for example, is not listed on the OMRI site, nor is its active ingredient: idole-3 butyric acid, or indolebutyric acid; neither is the other most popular ingredient on the market: napthalacetic acid. Both are synthetics. http://www.omri.org/simple-opl-search/results/root — or look up the name of the product. OMRI does not list synthetic products. Farmers themselves often have their own “secret” natural concoctions that may include fish oil, blood meal or other natural fertilizers. (We use a mixture of water, kelp meal and fish emulsion.) Just use your finger or a trowel to poke a hole in the soil, dip the roots of each start in the mixture and plop it in, gently patting the soil around it. Something to consider when planting is when the plant will mature. Look on the seed package and it will tell you: 80 days, 90 days, 110 days or whatever. So, if you want to be finished with your garden by August’s sweltering heat, count back the number of days until fruition in choosing the varieties you want to grow. 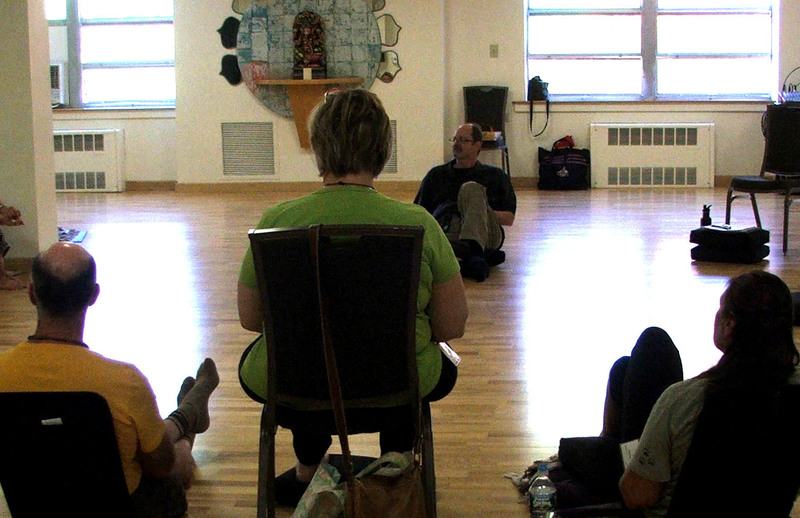 Join me at Rainbow Natural Foods at 6:30 p.m. on Sunday, April 7. I’ll be giving a reading and signing in my new book, Conscious Food: Sustainable Growing, Spiritual Eating (Findhorn Press). Refreshments will be provided by High Noon Café. The event is sponsored by Rainbow and the Conscious Living Project.